The previous games were about a lion with the power of the sun and a bat with the power of the moon. These new games will be about those two creatures and a monster made out of pitch-black crystal. Pokemon Ultra Sun and Ultra Moon are a curious duo for Nintendo's pocket monster franchise. 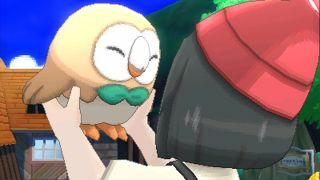 Unlike previous director's cut-style entries, which would introduce a new gem or color (as with Pokemon Crystal and Pokemon Emerald, for example) Ultra Sun and Ultra Moon are adding new features and story but remaining separate games. You can pick both up in a "Ultra Dual Edition," but for all intents and purposes, these are two separate games. There is no 'one game to rule them all' version this time. Pokemon Ultra Sun and Ultra Moon will arrive November 17, one day shy of exactly a year since regular Sun and regular Moon.